You’ve probably heard the quote “A penny saved is a penny earned”. We all know how important it is to save, but depending on what stage of life you’re at, there may be different ways to manage your finances that may give you a better return. Saving money is a great habit to develop when you have minimal responsibilities and expenses. Whether you want to save for a car or the latest tech, whatever your goal, a high-interest savings account could be a good place to start. A high-interest savings account is designed to help you save by paying a higher interest rate than regular transaction accounts. To help keep temptation at bay, these accounts are often only accessible via online transfer into an account linked to card access or have restrictions on the number of withdrawals you can make in a month. This type of account can be a good place to start when you first begin your savings journey. If you’re in your 20s, your goals are probably a bit more ambitious. You could be saving for a wedding or a big-ticket item, like a house. As well as a high-interest savings account, a term deposit may be another great option to grow your money. You deposit your money to the financial institution for a set term, with a guaranteed interest rate that may be higher than a standard transaction account. Most term deposits penalise you for withdrawing your funds before the end of the term, in the form of an interest reduction, so it’s important to consider if you will need access to the funds in the short term. If you’re saving for a house, it may be worth considering the ATO’s First Home Super Saver Scheme. If you are eligible, the scheme allows you to save money for your first home inside your superannuation fund. This helps first time home buyers save faster with the concessional tax treatment of super. Once you’re into your 30s, high-interest savings accounts or term deposits may still be good places to save your money, depending on how quickly you need to access it. You may also still be eligible for the ATO’s First Home Super Saver Scheme, but there’s another thing you may want to start saving for – retirement. While no one likes to think of getting older, now may be the time to consider making extra contributions to your superannuation to save for retirement. It can be a tax-effective way to save, and the sooner you start adding a little extra to your super, the more you may be able to take advantage of compounding returns. If you choose to salary sacrifice your payments via your employer, it may also reduce your income tax. If that’s not available to you, you can still make after tax contributions. Low-income earners who make after tax contributions may be eligible for a government co-contribution, meaning the government will make an extra contribution based on how much you put into your superfund. You might be in the position in your 40s and 50s where you have more disposable income. Perhaps you are further along in your career and are earning a great salary, or maybe the kids have left home and in return have reduced some of your expenses. It may be a good time to put that extra income towards voluntary super payments to boost your retirement savings. If you’re working on paying off a mortgage, a mortgage offset account could be a good option for you. A mortgage offset account is a transaction account that’s linked to your home loan, where the funds in the account are offset against your home loan balance so you’re only charged interest on the difference. It could save you thousands of dollars in interest and eliminate years off your home loan. By your 60s, you’re possibly transitioning to retirement or already retired. 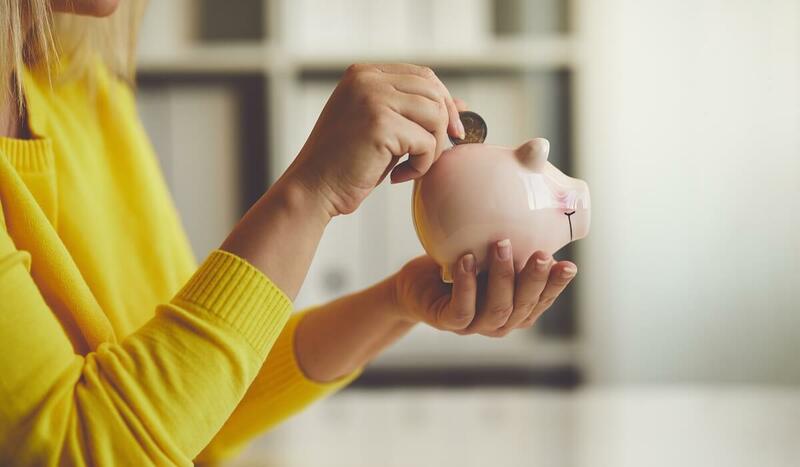 Wanting to keep your money safe but still get the best return to make the most of your hard-earned savings, high-interest savings accounts and term deposits may be right for you. Qudos Bank can help you with your savings strategy no matter what stage of life you’re at. Call us on 1300 747 747 to speak to one of our consultants or visit the Qudos Bank website for more information on any of our products.